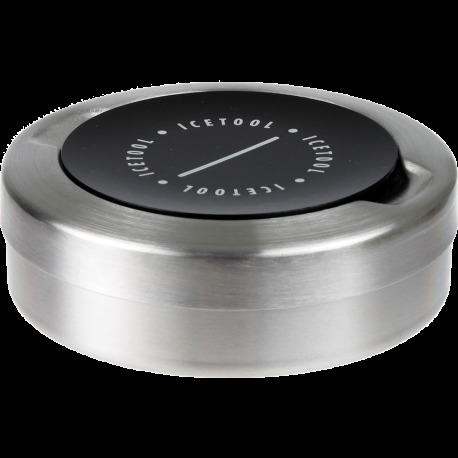 Icetool can for portion snus, made in brushed stainless steel. The compartment lid/cap is made of black aluminium with the Icetool logo on the surface. Strong, light and durable with a anodized long lasting color.